Are you looking for the right type of foot protection for the winter months? 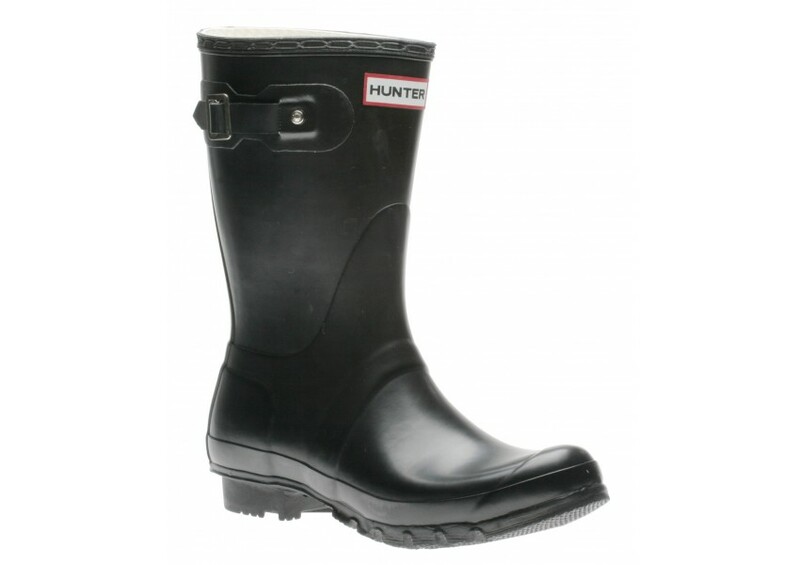 Perhaps you would also like boots that are ideal for working around the farm during the warmer months. It’s hard to go wrong with Hunter Boots. In fact, there are a number of reasons why people choose this brand over others. Here are some of the factors that make these boots an enduring option for many consumers. Hunter shoes, boots, and accessories have been around for a long time. First manufactured by the North British Rubber Company in 1856, the focus was originally on work boots that made it easier to be productive during the harsh winter months. They were also effective for keeping the feet dry during the rainy season. Over time, the popularity of the boots spread to other parts of the world. That was due to the fact that the boots met and often exceeded the expectations of consumers. As the company’s reputation continues to expand, more people discover the boots every year and choose to add them to their footwear collections. One of the reasons that Hunter has remained a viable brand even as competitors have fallen by the wayside is the materials used for the boots and accessories. Not content to rest on past glories, the company has invested in research and development projects that made it possible to build on the success of the past while improving the quality of everything used to make each pair. That dedication to continually making a good thing better ensures that current and future customers can look forward to spending their hard-earned money on boots that give them the best returns. There are many footwear companies that put a great deal of effort into coming up with practical designs. Ecco shoes for women is a prime example. Hunter shoes and boots are another. The focus is always on making sure the feet remain dry and comfortable no matter what sort of weather is taking place. During cold seasons, the combination of the sturdy shell matched with the right inserts ensures that slogging through the snow to get to work will not lead to ice-cold feet. When it’s raining, the boot design also ensures that no precipitation can get to the feet. When the boots are removed, the stockings or socks will be dry right along with the feet. That one element makes people choose Hunter and not even consider settling for any lesser brand. Have you ever thought about height being a factor for choosing a pair of boots? Fortunately, the team at Hunter gave that factor quite a bit of thought. The result is a line of their boots that are made especially for people who are a little taller than average. This is important for two reasons. 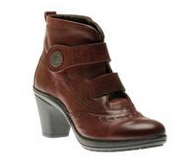 First, tall people know that boots that barely come to the middle of the calf look somewhat awkward on them. That’s especially true when the boot is obviously designed to reach to just below the knee. Second, having a boot that does come to just below the knee provides more protection during rough weather. After all, it’s not just about the feet. The consumer also wants protection for the lower legs as well. Hunter provides that for everyone by offering boots that are ideal for people that are taller as well as those who are of average height. It’s not overstating a fact to say that Hunter makes boots and shoes designed to last for decades. Ask around and it won’t be hard to find someone who has a pair they purchased ten or twenty years ago. Best of all, they have no intention of replacing them at present because they still offer excellent performance. Think of how many things you purchase and feel fortunate to get four or five years of use from those products. Now compare that with the idea of buying a pair of boots and being able to wear them regularly until all the children are grown. That type of durability is sure to make any type of boot popular. While you may not think of footwear as something you want to last for a long time, there are exceptions. Consider the fact that Birkenstock shoe designs are considered timeless and never go out of style. Knowing that they will last for years and still provide excellent support is one of the reasons they are still around today. The same is true with Hunter. While style is not the main consideration, the fact that they are do durable appeals to people who love to get all the use they can from whatever they purchase. One of the benefits of lasting for so many years is that Hunter boots and shoes are one of the most cost-effective options for footwear on the market. It’s true that you would pay more for the initial purchase compared to other brands. It’s also true that one pair of Hunter shoes or boots could easily last two or three times as long as the competition. Take a look at what you pay for that single pair of Hunter boots. How does that price stack up when you consider the cost of purchasing two or maybe three pairs made by another company? It will be easy to see why spending a little more on the front end will save a lot in the years to come. If you’ve never really looked at Hunter boots and accessories before, today is the ideal time to check them out. Pay close attention to the designs and how they provide such excellent protection from the elements. Look up some reviews and find out why other people find them to be such a great buy. Remember to find out more about the removable insoles, the mushrooms, and the other accessories that you can purchase to go with your boots. It won’t take long to see why this purchase will be one of the best investments you make this year. Winter will be here soon, and that means finding ways to keep the feet warm and toasty. One of the best ways is to invest in a new pair of boots. Before spending a lot of time looking at different brands, it pays to determine what sort of features and attributes the right pair of boots will possess. Here are some ideas to keep in mind. A good place to begin is by deciding what qualities the ideal pair of winter boots will possess. Comfort should be at the top of the list. No matter how stylish a boot may look, it’s of little value if wearing them means setting up a weekly meeting with a podiatrist. Focus attention on brands that are known to offer a great deal of comfort and support. Hunter shoes are good examples of a company that uses designs that fit properly and ensure the feet are comfortable all day long. Consider something along the lines of a Chet Black or an Andrew Black from Hunter Shoes as a way to ensure comfort. There are several different kinds of boots to consider. Is there a need for a new pair of rain boots? Perhaps the goal is to have dress boots that work well when there’s the need to dress up for an event. Perhaps a pair of walking boots will be ideal for evening strolls through the snow. Mephisto shoes and boots are great options when you want to find something that’s right for any type of event or use that the customer has in mind. What color would work well with most of the winter wardrobe? Men often find that a pair of boots in basic black will be ideal for most occasions. Basic black also works for women, but there will be times when something else will work better with that winter outfit. Don’t overlook the possibility of going for a stylish color for special occasions, like the grey suede or tan suede that’s used for a number of different boot designs offered by Clarks Shoes. Always find out what sort of lining is included in the boot design. Does it provide cushioning that prevents chafing? How well will the liner help to hold in warmth and ensure the toes don’t get cold? Even though the plan is to invest in thick socks, having a liner that is capable of holding in heat, preventing the cold from seeping through, and still provide the softness needed to prevent soreness is a must. Now is the time to find one or more pairs of boots rather than waiting until the weather really gets cold. Spend some time identifying brands and styles that have all the features needed to provide support and keep the feet comfortable. With the right boots, everything from popping out to make s supermarket run to a walk in the park will be a pleasant experience for the feet. With the peak of summer upon us, you might be gearing up for fall by updating your wardrobe. The hottest fall shoe trends of 2015 include a variety of boots in different styles and heights designed to keep your feet warm and toasty while providing a modern look. Hunter boots will be big this fall since they offer plenty of unique ways to play up your leggings, skirts, and dresses. These tall boots hit just below the knee, and they come in a variety of colors designed to work with any wardrobe. Black, navy, and aubergine provide plenty of neutrality to flatter just about anything you might wear, whereas the green, red, yellow, and violet styles make a bold statement with your favorite fall pieces. For a beautiful patterned effect, check out the Gardenia design. Finally, if you like your boots a little shorter, the Original style comes in different colors, as well. Hunter even has its own line of boot socks to keep you comfortable and warm. Another up-and-coming trend for fall 2015 is Joseph Seibel boots with their unique designs. 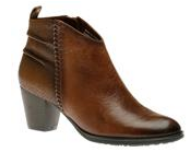 There are numerous styles from which to choose, so you can find a pair of boots to go with anything at all, whether you want to wear dress pants, jeans, slacks, a dress, leggings, or even a short skirt. Some of the offerings for this fall include ankle boots in slip-on and buckle designs, mid-calf boots that resemble modern versions of cowboy boots, and even knee-length options to keep your legs warm on days when you cannot resist a gorgeous short skirt. For additional warmth, check out the designer’s Fleur fur-lined boots. Timberland shoes are some of the most popular for any season at all, and fall 2015 is certainly no different. This year, the plaid-lined Frozen Coast shoes offer a unique way to express yourself, while the tall Fauna boots will keep you toasty and warm. They also offer up plenty of hiking boots to fit all of your outdoor activities, and the fur-lined Rime Ridge boots offer a casual look with your favorite pair of jeans. If you really want to make a statement, try the Moorland boots with their knee-high appeal along with your favorite dress, skinny jeans, or leggings. Last on the list are the beautiful, dressy Earth boots that come in a variety of colors and styles to suit all of your wardrobe needs. While the Redwood offers up a bit of a chunky feel and hits just above the ankle, the Lauren and Fara knee-high styles offer height and warmth, but are slim enough to wear under your favorite jeans or dress slacks. Finally, their Cypress style gives you a streamlined, minimalistic style that works just as well with a business suit as it does with a pair of jeans. Fall of 2015 is all about boots, whether you prefer a bold fashion statement or practicality and warmth. The four designers above seem to have nailed it this year with everything from simple pull-on booties in neutral colors to bold, shiny, and glossy knee-high boots that will definitely turn a few heads.